Palmer's Cocoa Butter Formula with Vitamin E Cream is a non-greasy, luxuriously rich all-over lotion to leave your skin so touchable. 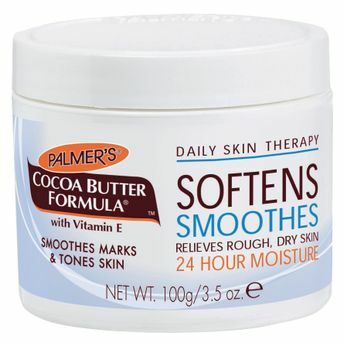 Palmer's Cocoa Butter Formula is enriched with Cocoa butter and vitamin E which deeply moisturise the skin making it soft and supple. It does feel heavy like any other body butter, it light and absorbs quickly into the skin.